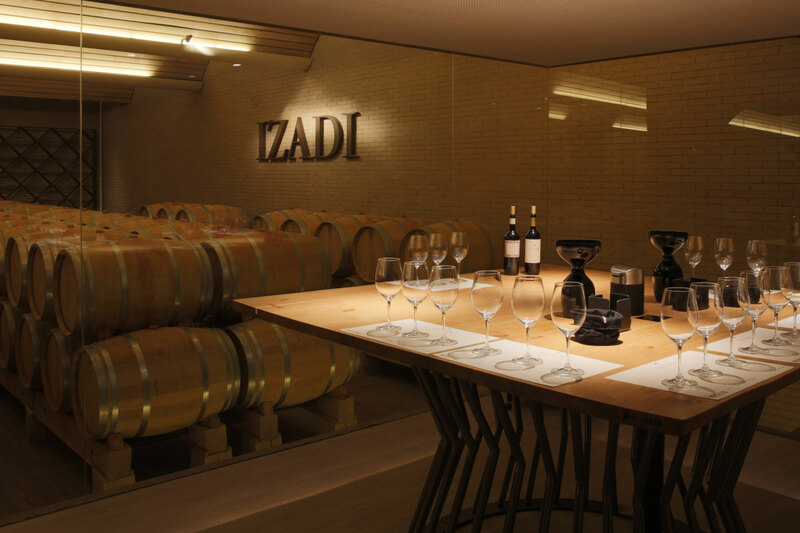 – Izadi means “Nature”. This is reflected in the care and respect that the bodega shows for the fruits of its natural surroundings. The building, on a steep slope with a 50-metre difference in altitude, takes advantage of gravity to make wine on five different levels. Each step focuses at every moment on taking the utmost care of the grapes' natural characteristics so as not to lose their personality. Add to this a visitor's and entertainment building with various dining rooms, a meeting room, and a wine shop, where the public can familiarise themselves with the world of wine and food.